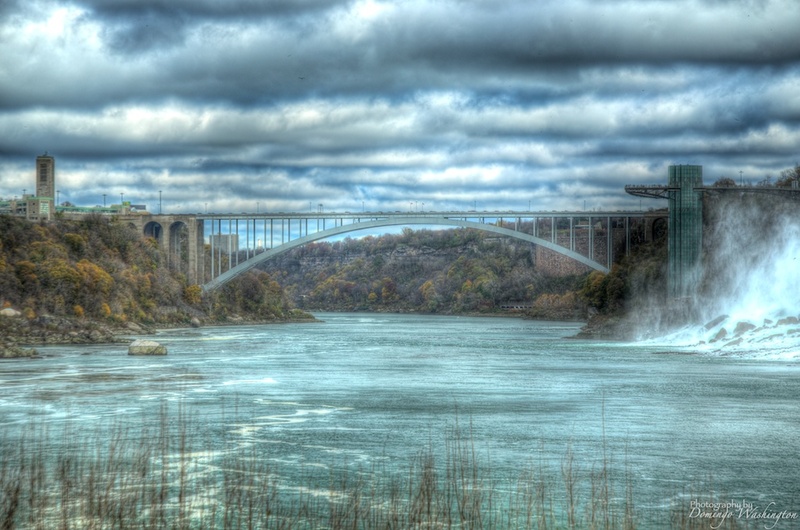 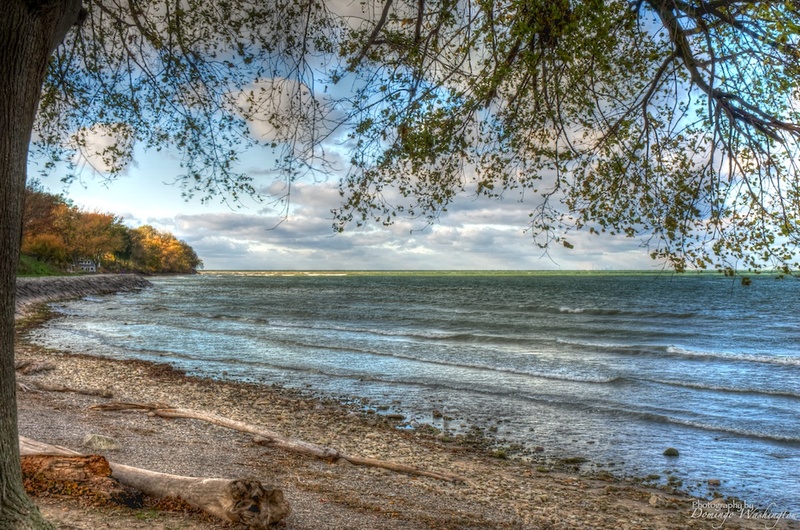 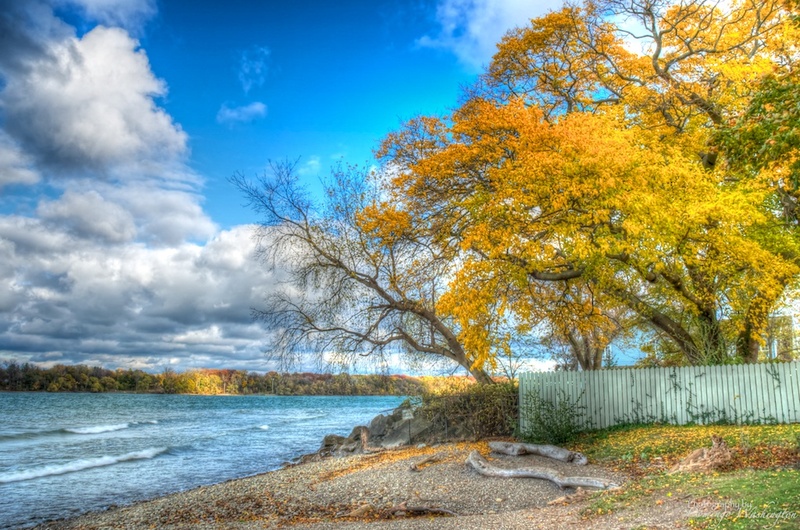 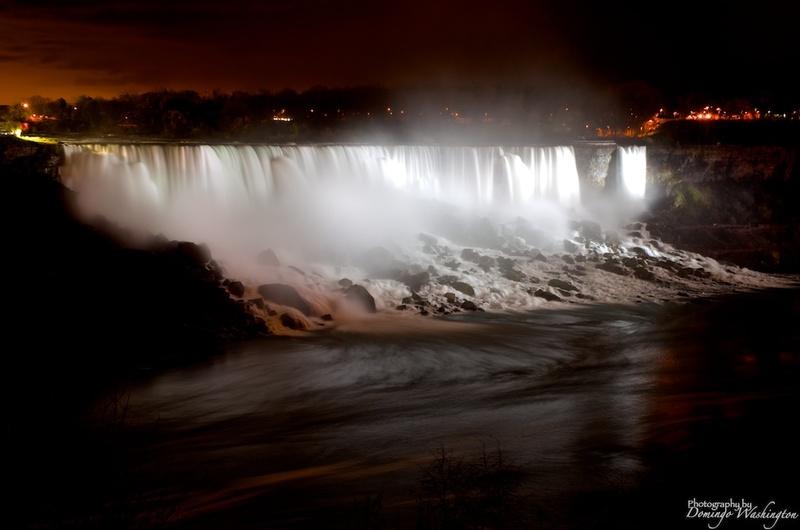 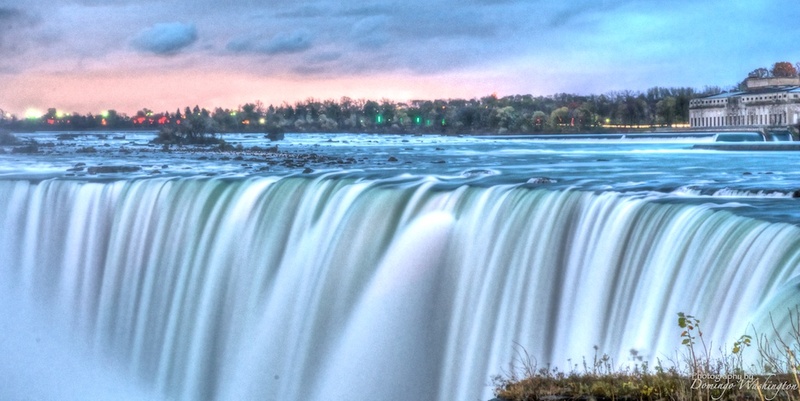 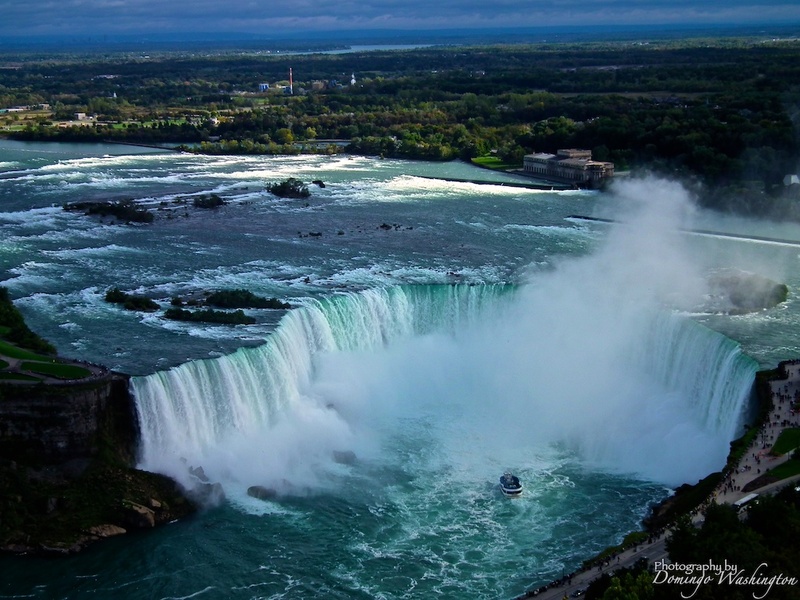 Located on the Niagara River, which drains Lake Erie into Lake Ontario, the combined falls form the highest flow rate of any waterfall in the world, with a vertical drop of more than 165 feet. 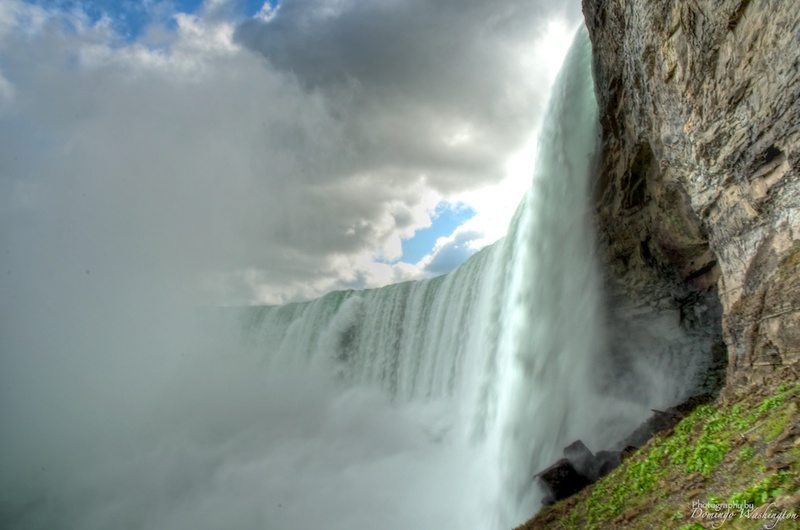 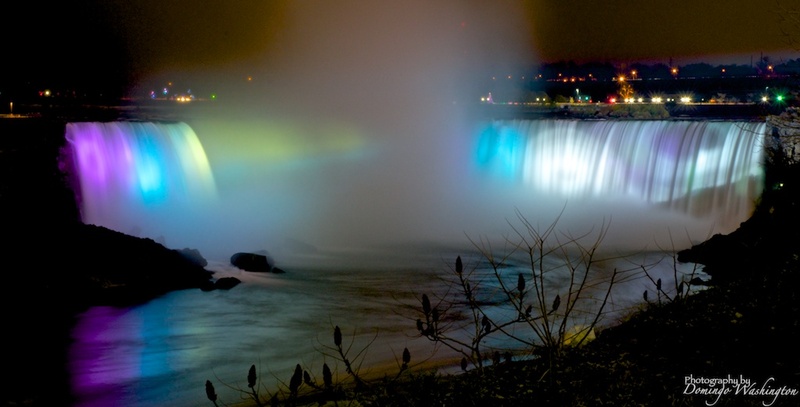 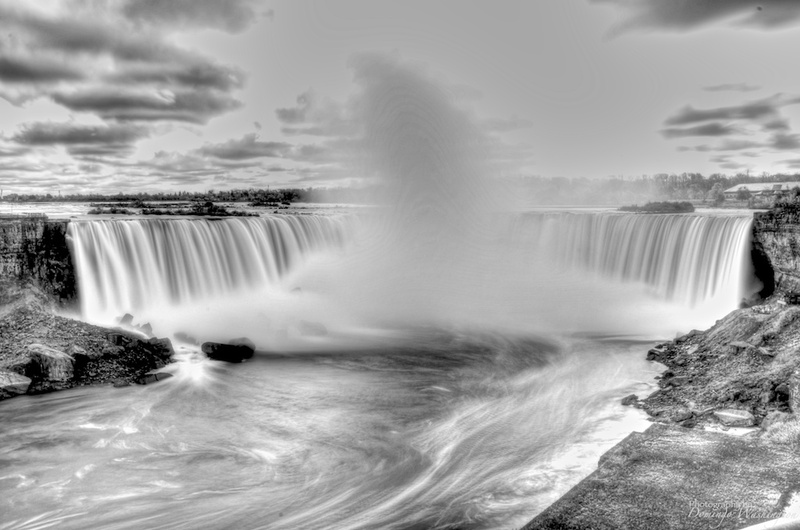 Horseshoe Falls is the most powerful waterfall in North America, as measured by vertical height and also by flow rate. 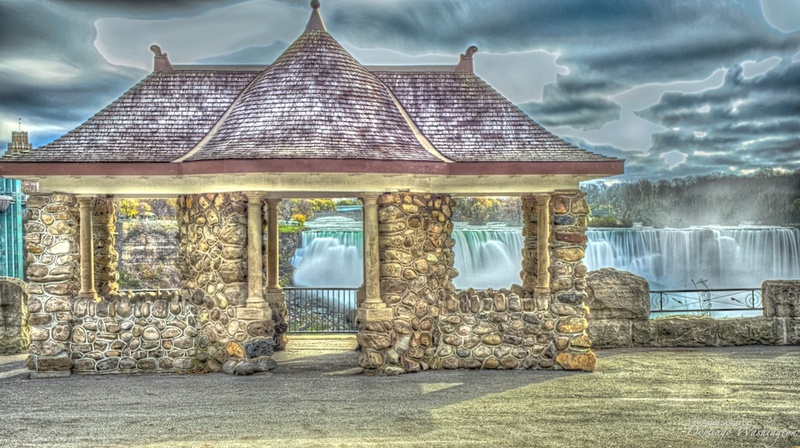 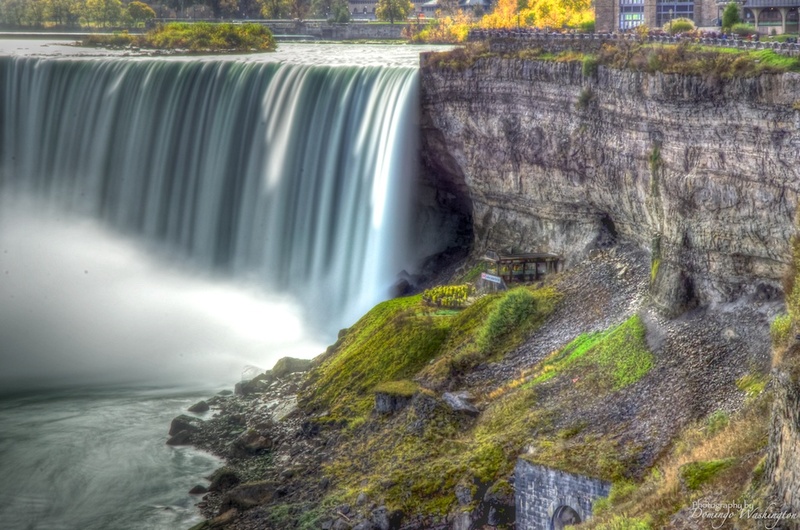 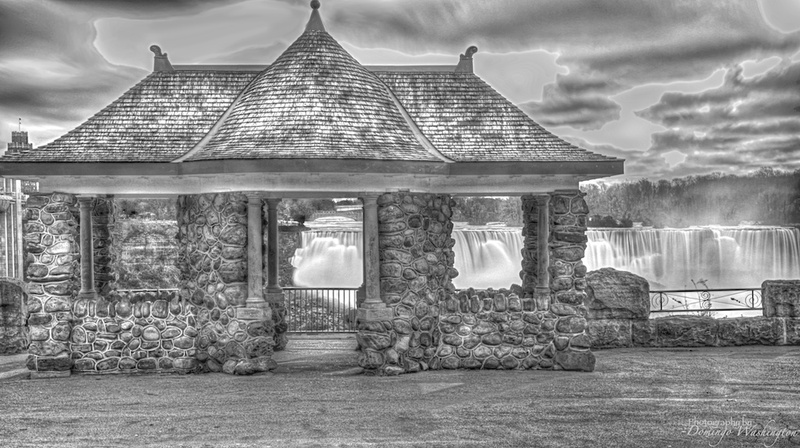 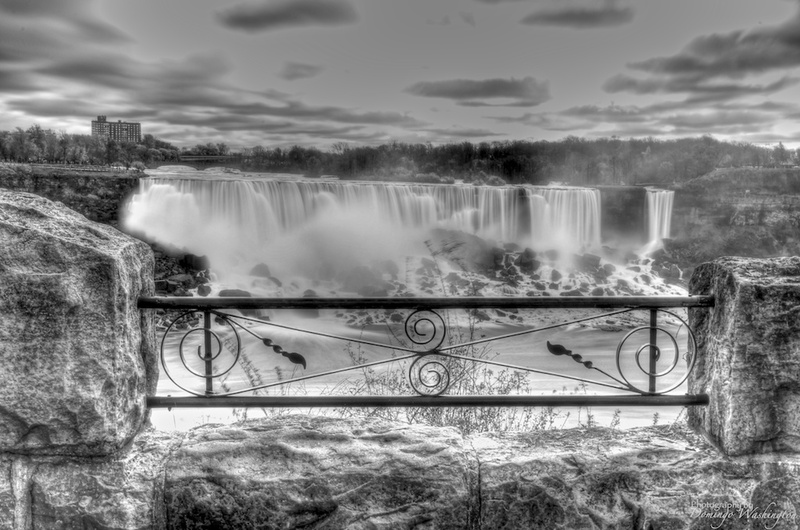 The falls are located 17 miles north-northwest of Buffalo, New York, and 75 miles south-southeast of Toronto, between the twin cities of Niagara Falls, Ontario, and Niagara Falls, New York. 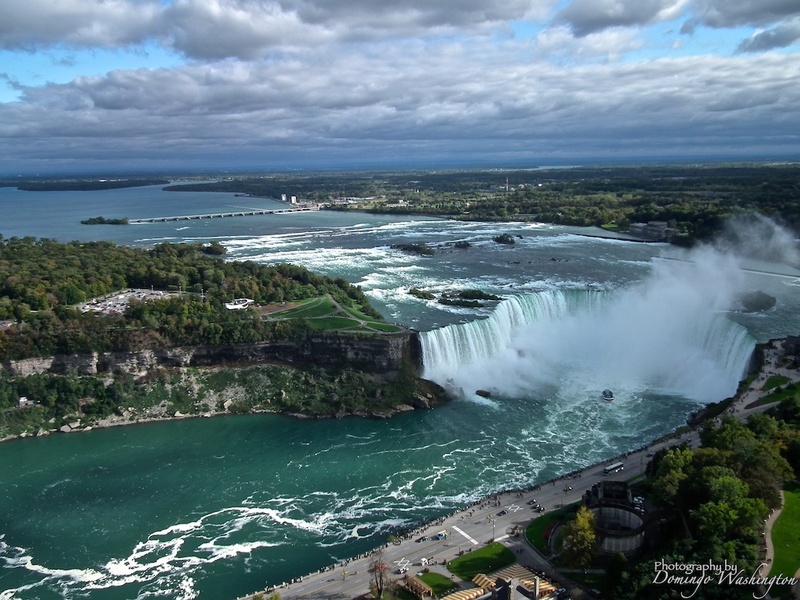 Niagara Falls were formed when glaciers receded at the end of the Wisconsin glaciation, and water from the newly formed Great Lakes carved a path through the Niagara Escarpment en route to the Atlantic Ocean. 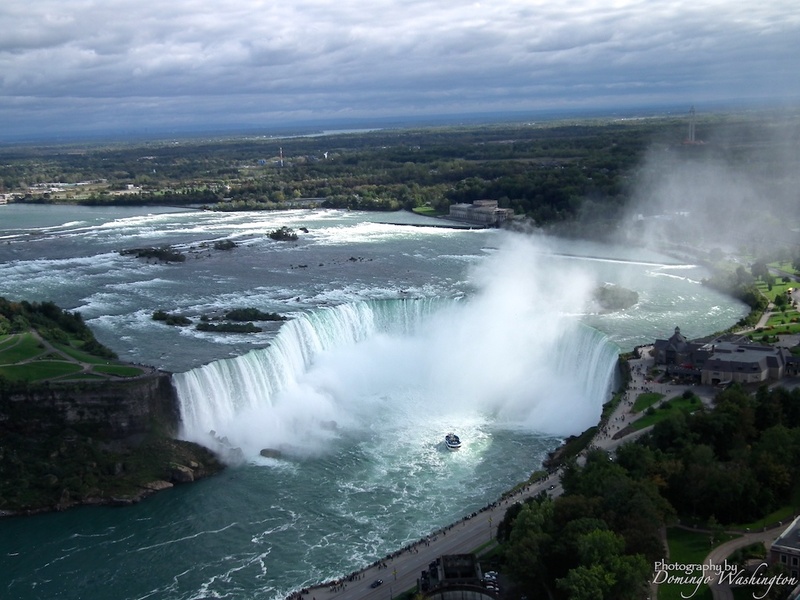 While not exceptionally high, the Niagara Falls are very wide. 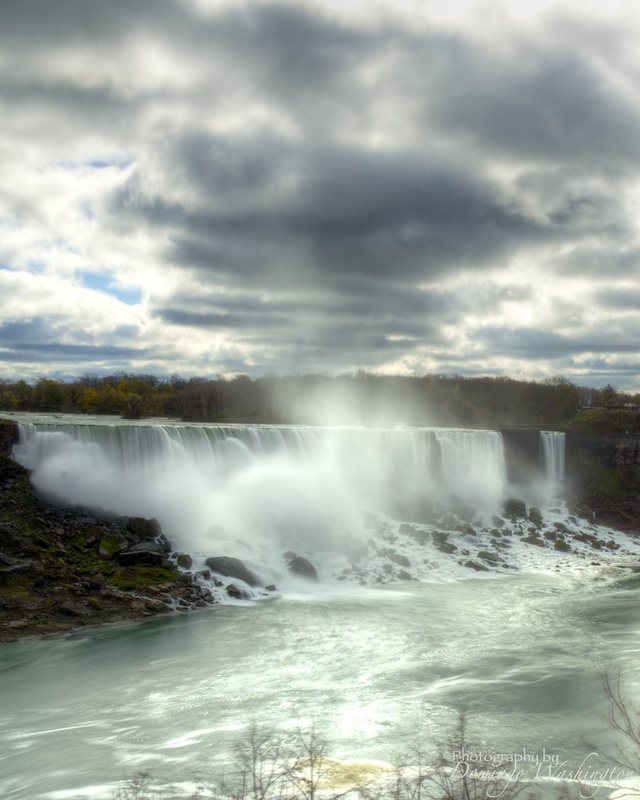 More than six million cubic feet of water falls over the crest line every minute in high flow, and almost four million cubic feet on average.